She Talks to Animals For Christine Starer-Smith ’99, a love of animals led to a veterinary career and volunteer service at a remote Dakota reservation. Christine Starer-Smith ’99’s love of animals developed early when she started saving baby bunnies as a child. Later, she brought her horse to Washington and Lee University and started the riding team. Now a veterinarian at Banfield Pet Hospital in Virginia Beach, Starer-Smith says she had to succeed at University of Pennsylvania’s vet school — “I had no Plan B,” she laughed. “Veterinary medicine is a wonderful career for women,” she said. It offers an opportunity for work-life balance, which the mother of two young daughters appreciates. “Your career inevitably takes turns that you can’t predict,” so she advises women to get a broad liberal arts education, and if they go to vet school, also to study broadly there. Starer-Smith knows too well what she is talking about. Because of her love of horses, she joined an equine practice out of vet school and worked with the large animals for nine years. After being trampled by a horse and spending 23 days in the hospital with several surgeries, she turned to relief work for Banfield while recuperating five years ago. For the past two years, she has worked there part time, caring for dogs and cats, and she loves her flexible schedule. While in vet school, Starer-Smith took two trips with Rural Area Veterinary Services, a program that combines community service and veterinary education to bring free vet services to underserved rural communities. Typically, these are isolated, poverty-stricken communities with no access to veterinary care. Recently, she traveled again with RAVS, now affiliated with The Humane Society, to two communities on the Standing Rock Reservation in North and South Dakota. “We provided spay, neuter and preventative care services to more than 500 animals,” she said. The group of 50, including 10 vets, three vet technicians, 30 vet students and support staff, transported everything they needed to set up a full veterinary hospital, including five surgical tables, anesthesia machines, recovery tables and supplies. “We set up in gyms and had primitive living conditions,” she said. Although they were from all backgrounds and geographic areas, “we worked together as a team,” she said. On a Facebook posting, Starer-Smith noted that they had no running water, no showers and no flushing toilets. “I feel like I am on an un-filmed reality TV show,” she commented. However, she said being around the 30 students was invigorating. At home, she has the luxury of performing surgery on animals at the optimal time. In the Dakotas, animals needed surgery in less than the best conditions. Spaying older animals or performing risky surgery on a dog with new puppies gave her the opportunity to call on skills that she hadn’t used in some time. She said the communities were very appreciative of their work. Many days, people lined up at 5:30 a.m. for the clinic that opened at 8 a.m.
A biology major at W&L, Starer-Smith remembers assistance she got from the pre-med counselor who helped her select science courses in the right order, starting in her freshman year, to make sure she was prepared for applying to medical school. Another boost to her application was the opportunity to do research as a freshman with Helen I’Anson, professor of biology. “This got me a foot in the door; it helped get my application looked at,” she said. Starer-Smith doesn’t downplay the challenges of becoming a vet. Getting through organic chemistry at W&L, the course load at vet school and cost of tuition were tough, but worth the effort. She also looks at each pet as if it were one of her own. 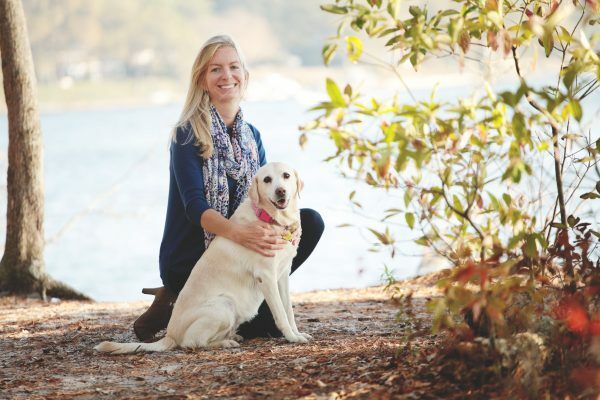 She and husband Eric share their home with Abby, a yellow lab therapy dog, and Dixie, a Jack Russell terrier. Starer-Smith takes Abby to her daughters’ school weekly to help second graders learn to read, and they also visit assisted living facilities. And, as if traveling to remote areas to provide pet care, treating animals at Banfield, raising two daughters and two dogs weren’t enough, Starer-Smith recently fostered a kitten that needed to be fed every two hours. It seems the little girl who wanted to save bunnies is grown up but still can’t resist an animal in need.